These nominations come after his unrivaled performance as an on-air-personality and a blogger. Nominees for the second edition of 2015 Ghana Tertiary Awards were announced at a colourful ceremony held in Accra on Monday, October 5. To vote for Zionfelix as “Most Influential Student Blogger/Writer”, text “GTA SB Zion” to 1762 and to vote for Felix Adomako as “Most Influential Student Radio Presenter”, text “GTA RP Felix” to 1762. 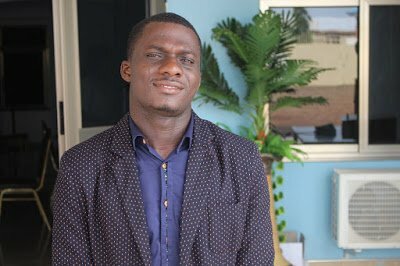 2015 Ghana Tertiary Awards is the fourth award ceremony the stalwart Ghanaian blogger has been nominated for in the year 2015. Zionfelix was earlier in the year nominated for “Showbiz Blogger/Online Writer Of The Year ” category at City People Entertainment Awardheld in Nigeria, YOUTH CHOICE Award For Use Of New Media” and “YOUTH CHOICE Blog Of The Year” categories at Africa Youth Choice Awards also in Nigeria and“Best Student Journalist” category at University Of Ghana SRC Excellence Awards. Other personalities who had nominations at this year’s awards are Sarkodie, Stonebwoy, MzVee, Kalybos, Prince Dovlo, Kofi Asamoah, Strongman and many others. The second edition of Ghana Tertiary Awards comes off on Friday, October 6 at the National Theater in Accra. Zionfelix is the brain behind entertainment news portals, Zionfelix.com and Celebritytvgh.com.